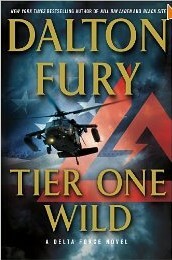 Kolt “Racer” Raynor is back in his Delta Force unit and hunting missing weapons from the overthrown Libyan government. In Tier One Wild Former officials from that regime are suspected of selling them to unsavory characters. At center stage are surface to air missiles that are a threat to commercial aircraft. The opening segment is about as harrowing an event as you’ll read in many of these type novels. Many in America feel somewhat safe as the weapons are on another continent, but sometimes bad things come home. One of my favorite genres of books is the thriller featuring American (mostly) heroes from special forces kicking the butts of our enemies. 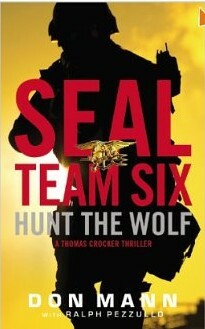 Author Don Mann , a former SEAL Team Six member, takes his shot with Hunt the Wolf featuring a seemingly superhuman SEAL Team Six leader named Thomas Crocker. 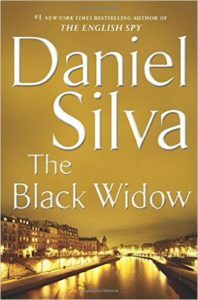 Though there is plenty of action and the novel is very entertaining there is much lacking in the story and some of the connections between royalty, the CIA, other clandestine services and the bad guys are a little out there which make the story less fluid. John Corey and his new wife attend a memorial service in remembrance of the victims of TWA Flight 800 which exploded shortly after take off from New York’s JFK International Airport. Five years after the tragedy there are still open wounds and doubt about the official explanation of the events leading up to the explosion. 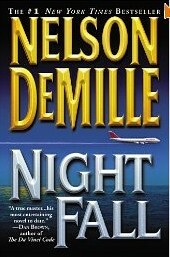 In Night Fall Corey opens and investigation as only he can and in turn takes some heat from members of the federal government who don’t seem anxious to have him looking into the events of that night. 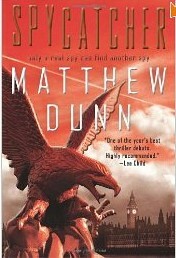 In his debut thriller, Matthew Dunn introduces us to Will Cochrane an elite MI6 operative code named Spartan. Dunn is a former MI6 field officer himself so that gives him some credibility regarding the spy game and his first novel was thrilling though not quite up there with Daniel Silva and Brad Thor yet. The action is there, the intrigue is there, and he has developed a very good hero in the vein of Scot Harvath and Gabriel Allon. I think the title of the book, Spycatcher, is a little misleading though since the book is more about trying to stop a terrorist plot though spies are involved. What I like about the Will Cochrane character is that he is different than the more well known characters mentioned above. He is similar in his determination and skill, but he is different. I’ve had my share of nicknames in the past. Some nice; some not so nice or flattering. Every time I got a nickname it was usually “given” by a friend or close acquaintance. I don’t think even the less likable ones were really meant to harm me or truly disparage me. In the last two plus years I have been called all sorts of names because I believe that I am Taxed Enough Already. I don’t belong to any particular TEA Party though I have gone to a few rallies. 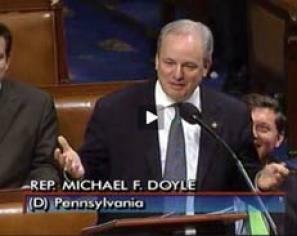 I hope that my blog affirms my belief in the principles of the Constitution, the free market, and good old capitalism. Mr. Hume of course was discussing President Obama as he continues to wiggle to be all things to all people while refusing to lead on important issues as a world leader should. Obama has become the quintessential politician whose sole goal seems to be getting reelected. 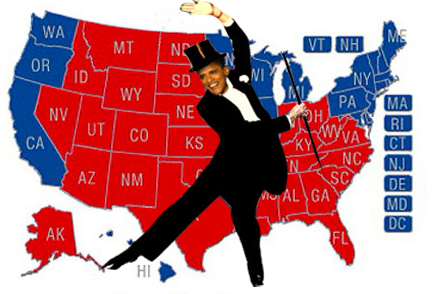 As of this writing and reported in The American Thinker, Obama has made 31 fundraising trips so far in 2011. This is above and beyond the numerous rounds of golf. The frightening thing about Brad Thor’s novels is the shear number of ways that terrorists could hit the United States. 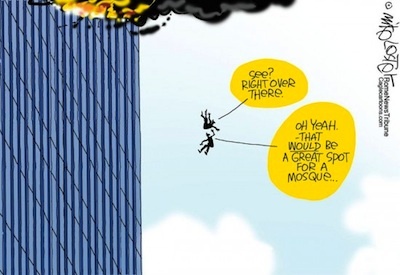 Scot Harvath is back to foil major attempts to hit Americans here and abroad. Harvath struggles with his age (fortyish), his desire for a family, and his deep hatred of jihadists as he travels the globe hunting down the Islamic fundamentalist organization plotting destruction.